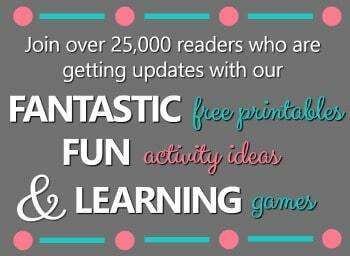 Tinker is showing more and more interest in letters. She’s also asking for “school time” like her big sister, so we’re incorporating a little more structured play into her daily routine. This time of year we seem to accumulate quite a few plastic eggs, so I thought I’d put some of them to use with this name game. 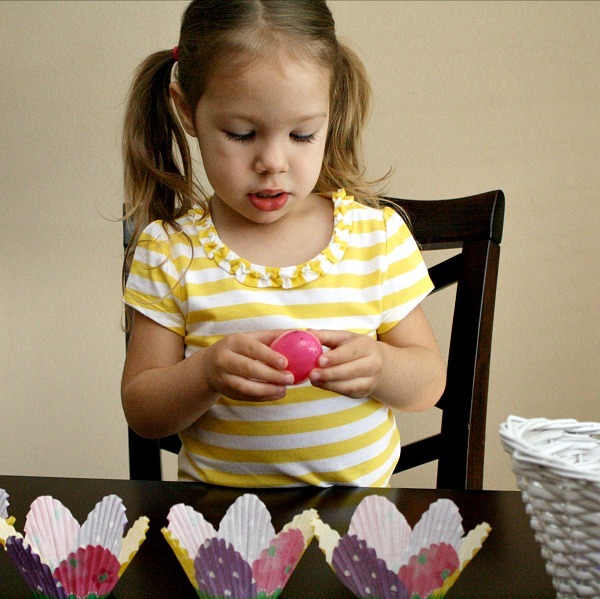 To set up the game I gathered some baking cups, plastic eggs, a permanent marker, and a small basket. Inside of each baking cup I wrote one letter from Tinker’s name. I also wrote the matching letter on a plastic egg. To introduce the activity I helped Tinker place the baking cups in the correct order to spell her name. She helped name the letters as we did this step together. 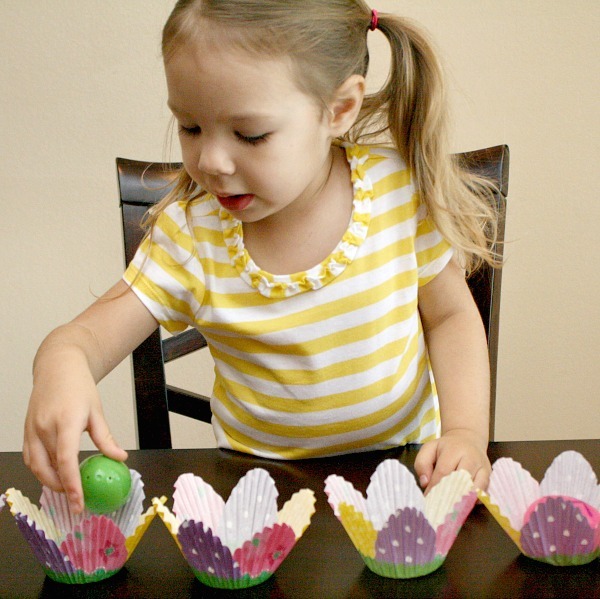 Then she chose a plastic egg from the basket, named the letter, and found its matching baking cup. When she was all done we spelled her name together again. I loved watching as she studied the letters and found such pride in placing them in their correct spots. 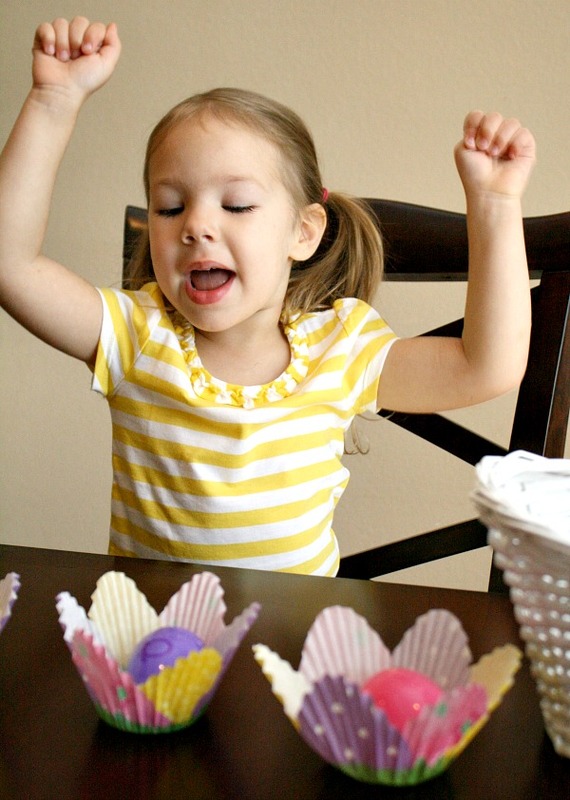 And the mini celebration that occurred each time she finished was just precious! 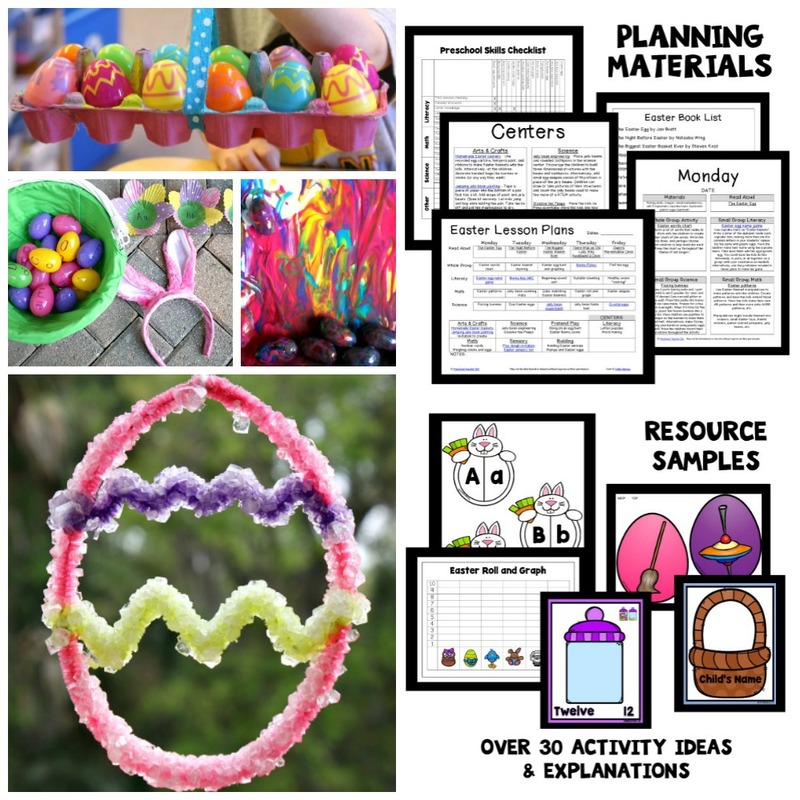 She redid the activity many times that first day before using the eggs for pretend play. She create a whole egg family with a mommy, a daddy, one baby, a cat, and a dog. Since then she’s chosen to do the activity as part of her “school time” each day. 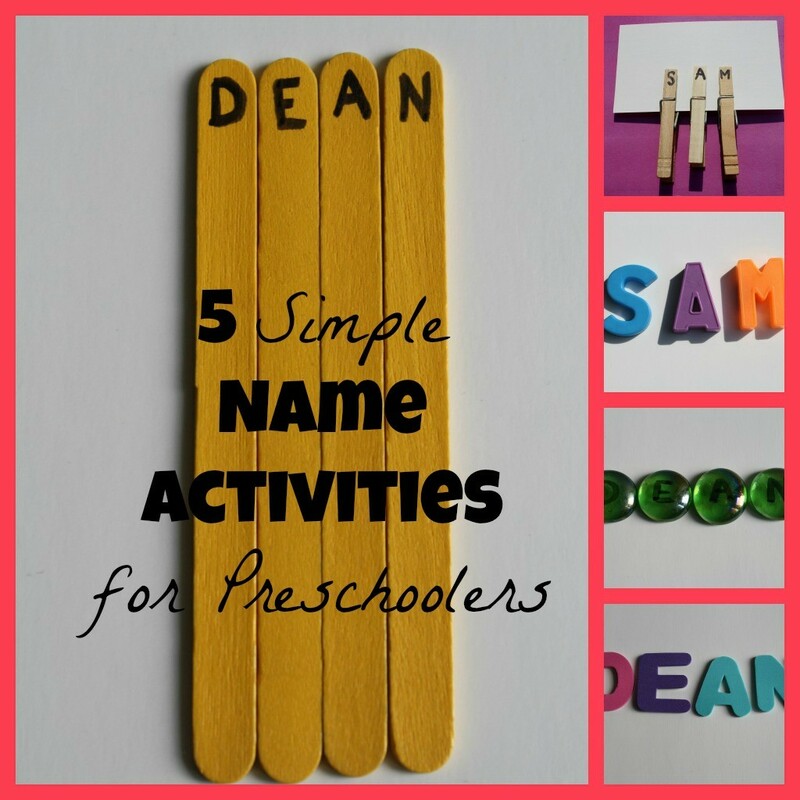 If your little ones already know how to spell their name or if you have older siblings who want to play along, you can modify the activity to include spelling words, sight words, or even do a making words activity. My daughter loves spelling her name these days and this is a great activity to incorporate that! What a great idea! 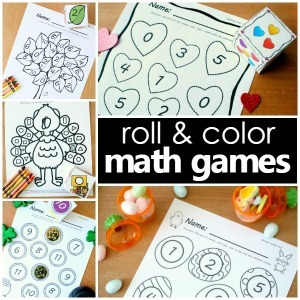 Eli would love doing this, I’ll have to do it with him 🙂 Thanks so much for sharing at this weeks Playful Learning Linky 🙂 Have a great weekend! What a cute idea. I bet she loved it! Thank you! She did…and she still does. I’ve introduced a couple new activities since first using this one, and she still plays this one daily. 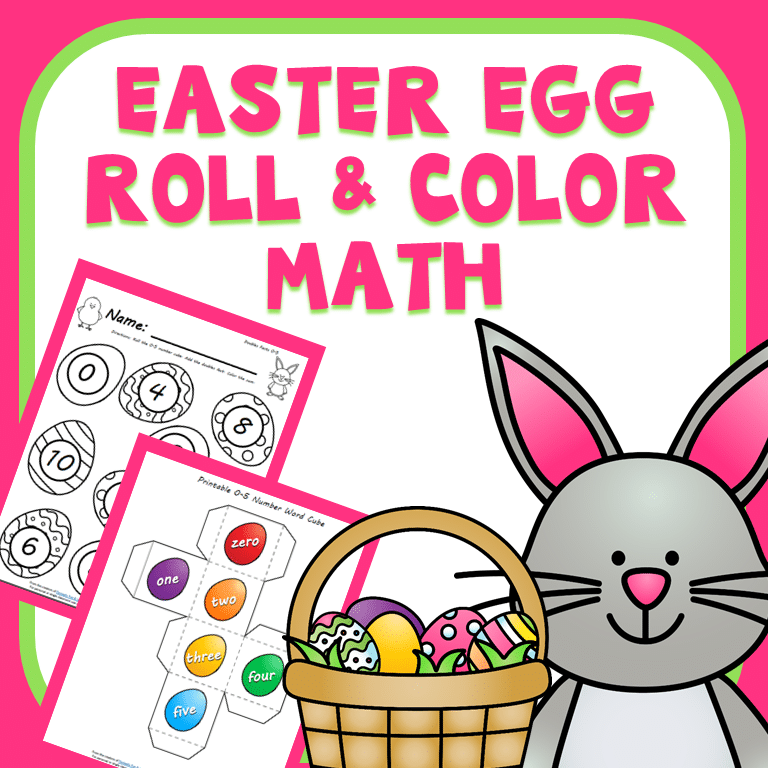 We pulled out the plastic Easter eggs last week to play a beginning sounds game. 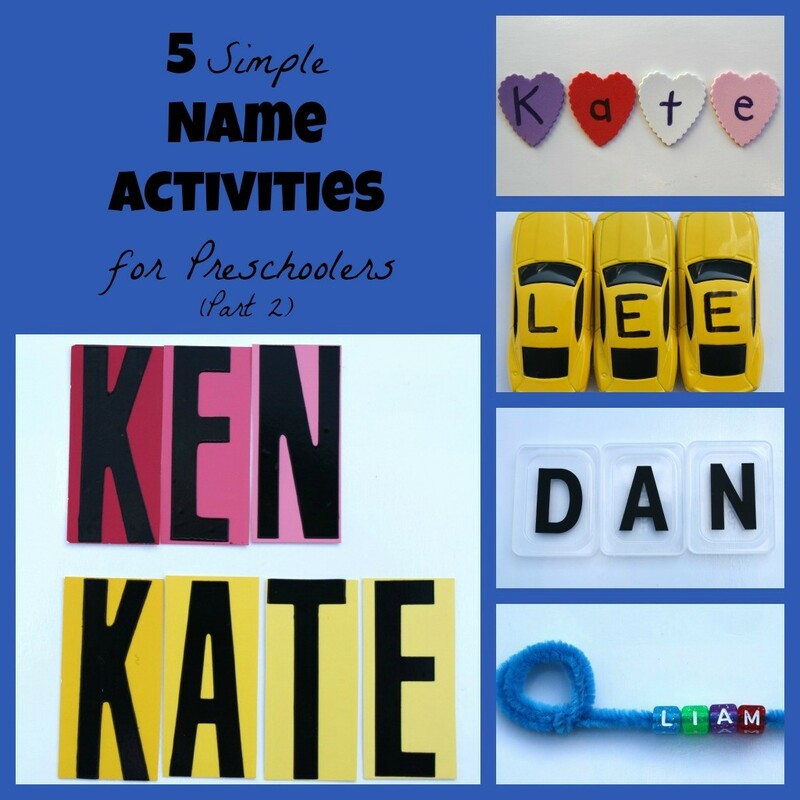 We will add this name activity to our to-do list this week. Thanks so much for the idea. 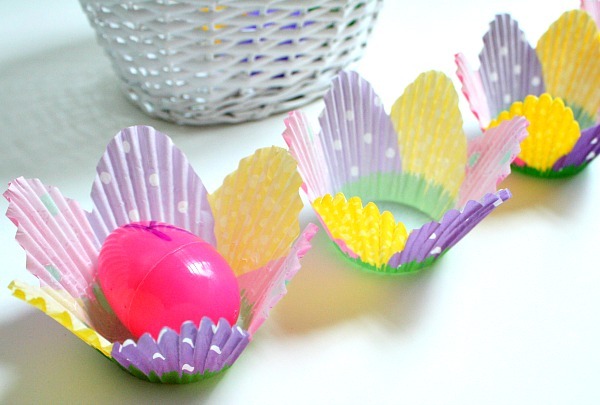 Love how many uses there are for plastic eggs!